Learn about the unique ecosystem that is the Long Island Pine Barrens during this guided hike at Quogue Wildlife Refuge. 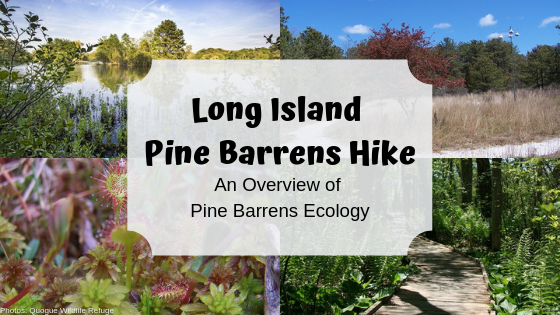 A walk in the beautiful Quogue Wildlife Refuge is a short course in Pine Barrens ecology. You’ll see wetlands, creeks, ponds, tall lowland pitch pines, and dwarf pines. Tour is guided by naturalist and Pine Barrens Society board member, Tom Casey. Inclement weather cancels this hike, registrants will be notified by email. Cost is $5 for adults, $3 for children.